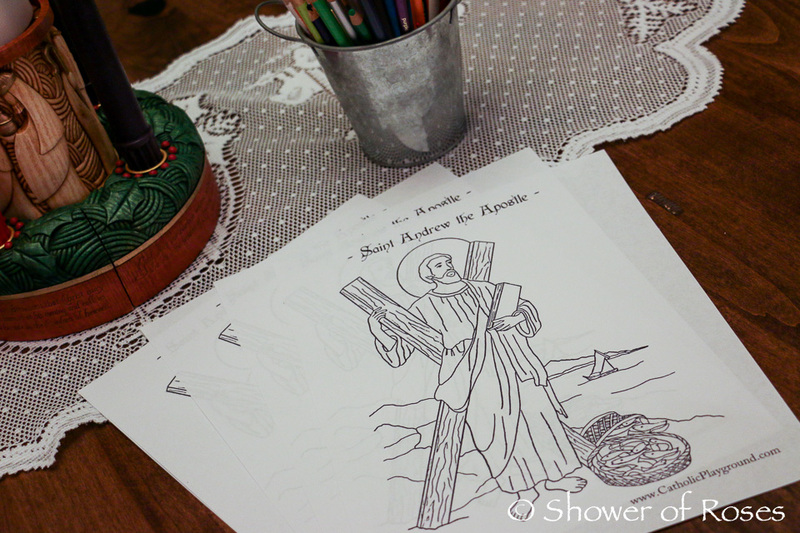 The Feast of St. Andrew the Apostle is celebrated on November 30th. 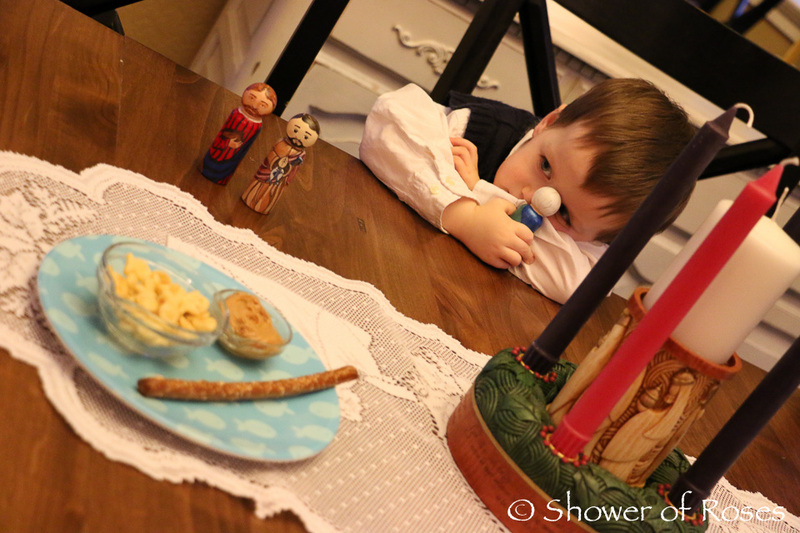 The beginning of Advent is alway determined by St. Andrew’s Day. 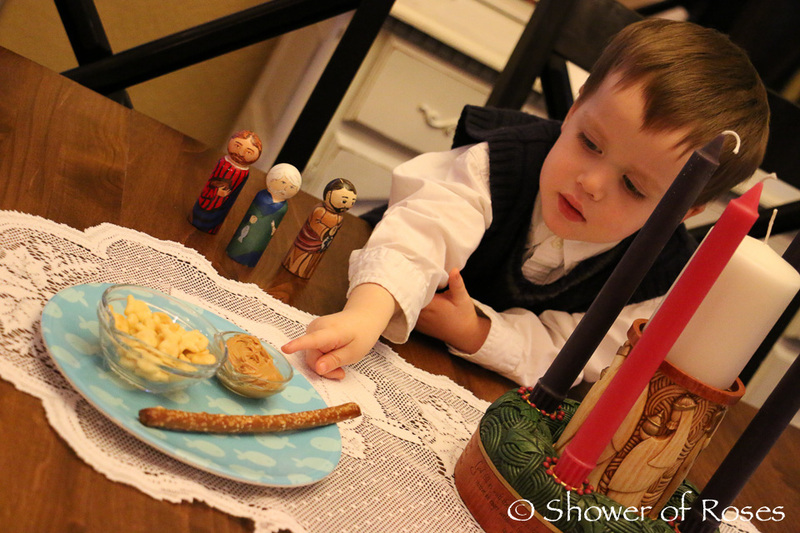 The Sunday nearest to his feast is always the First Sunday in Advent. 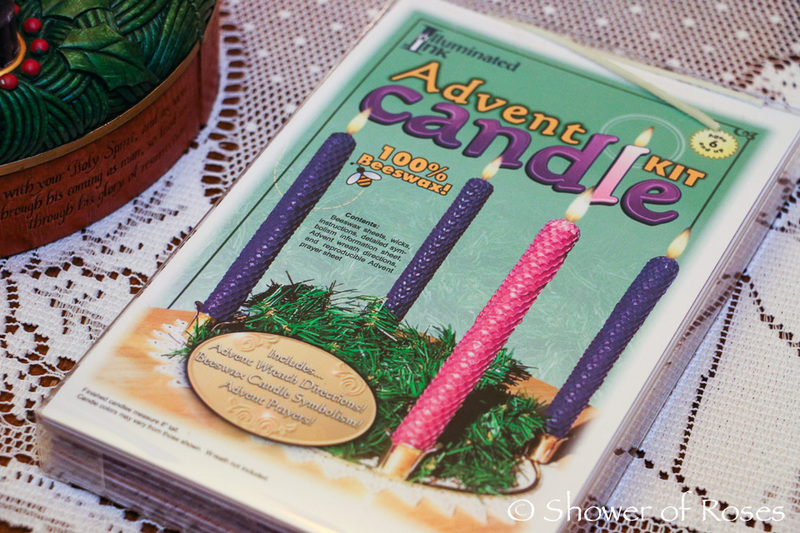 If November 30th falls on a Monday through Wednesday, Advent begins the Sunday preceding; if it falls on Thursday through Saturday Advent begins the Sunday following. 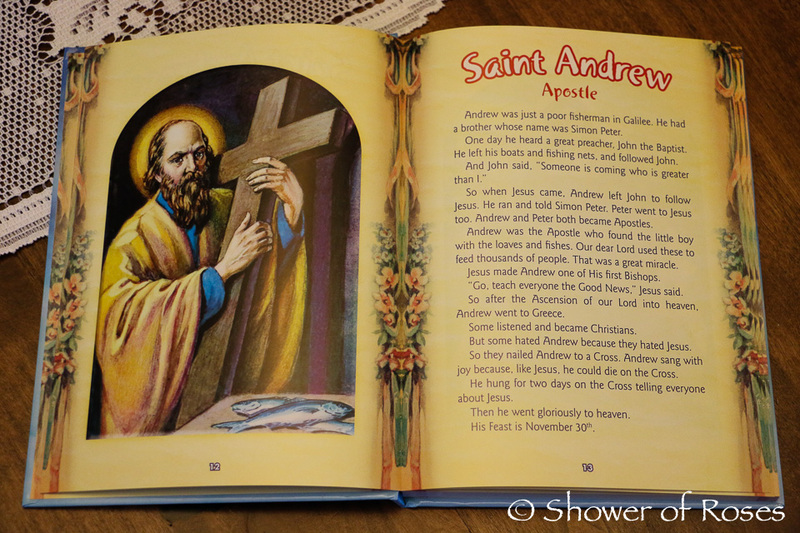 This year the feast of St. Andrew happened to fall ON the First Sunday of Advent. 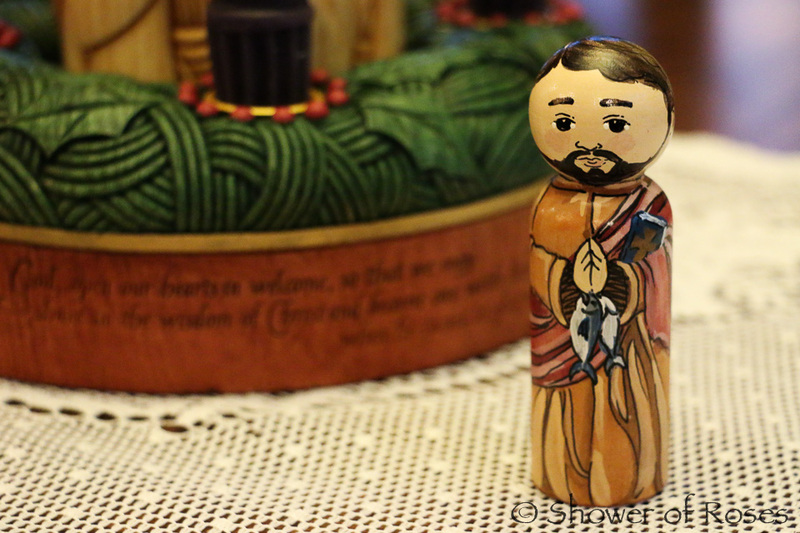 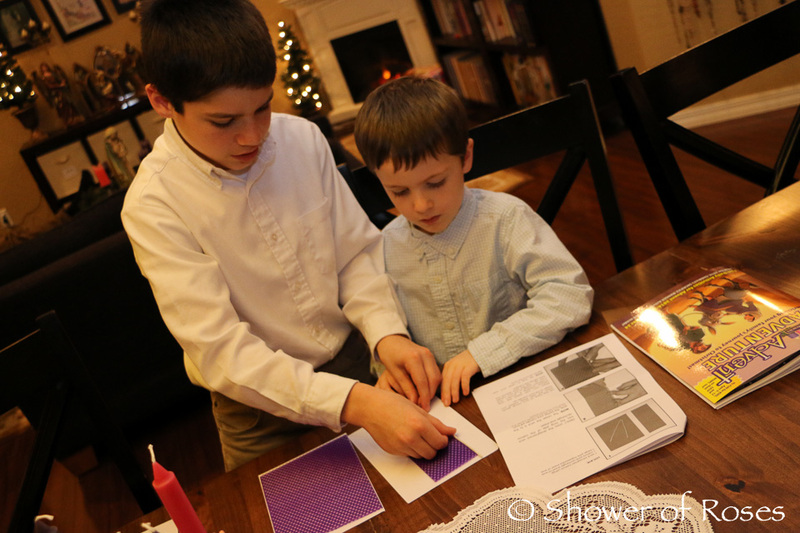 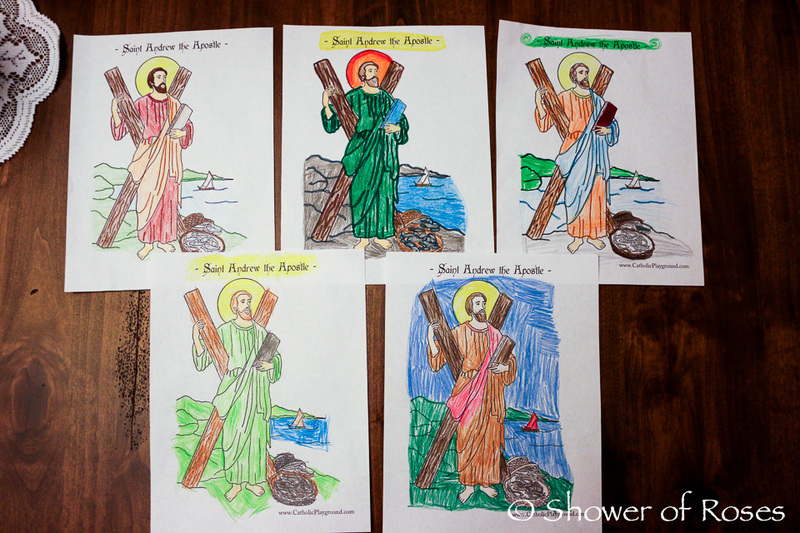 St. Andrew is a patron saint of one of our boys and we had so much fun celebrating his feast day in addition to our usual First Sunday of Advent family activities, stories, and prayers.
.: CRAFT - ADVENT CANDLES :. 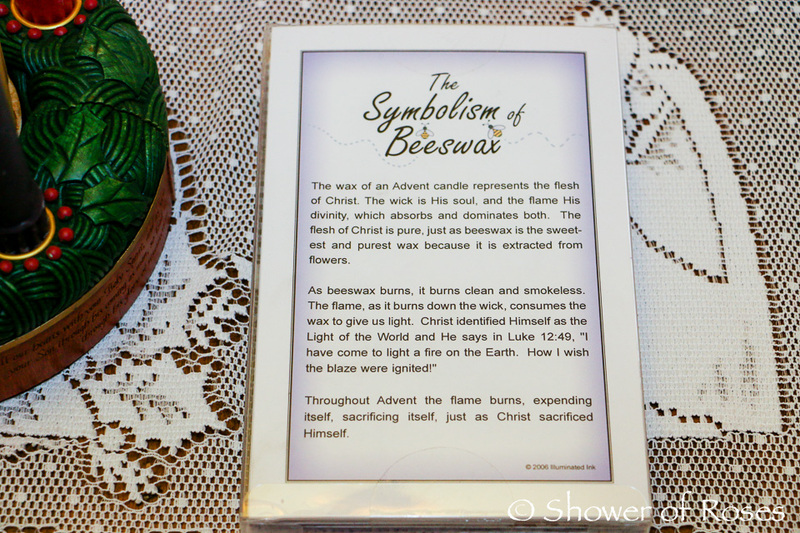 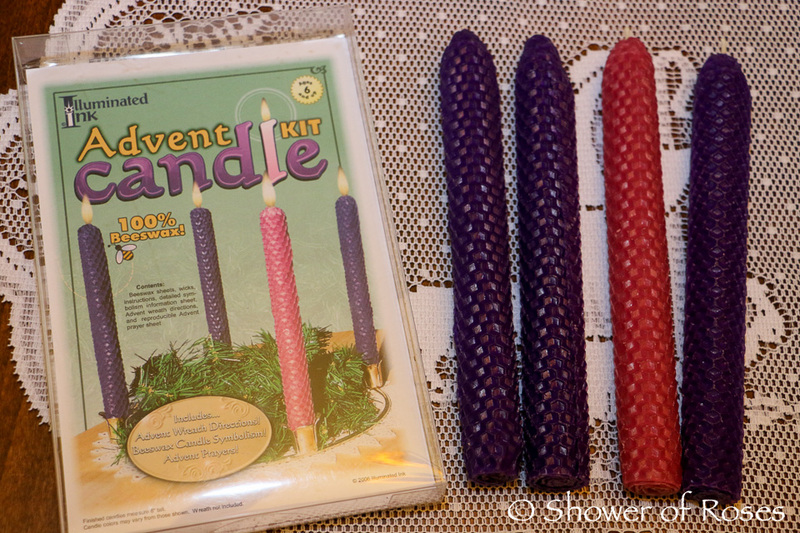 The beginning of Advent is alway determined by St. Andrew’s Day so I decided to have the children roll 100% Beeswax Advent Candles using this lovely Advent Candle Kit. 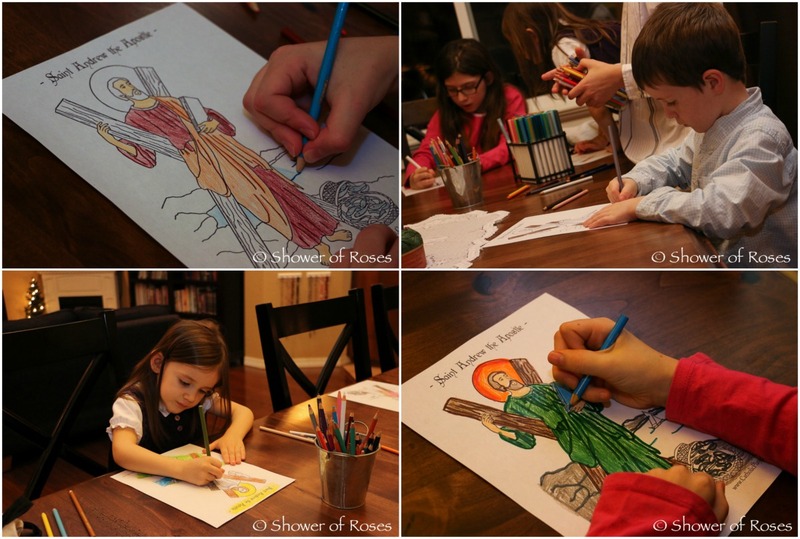 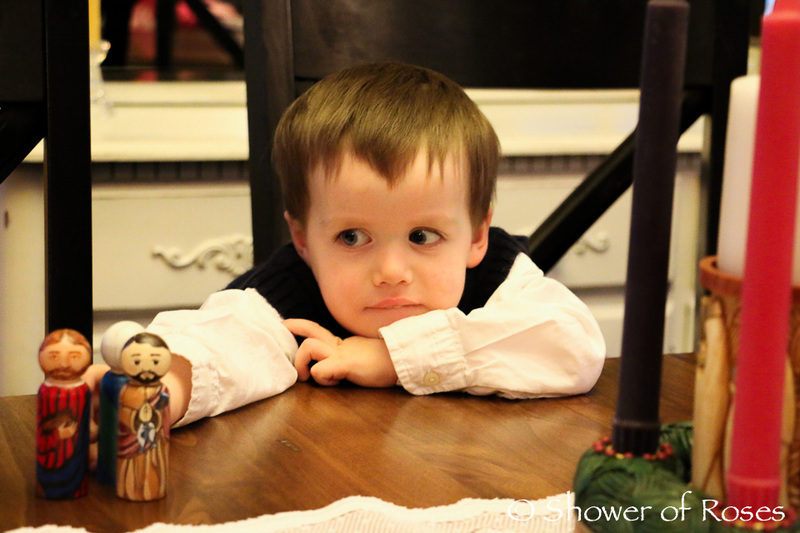 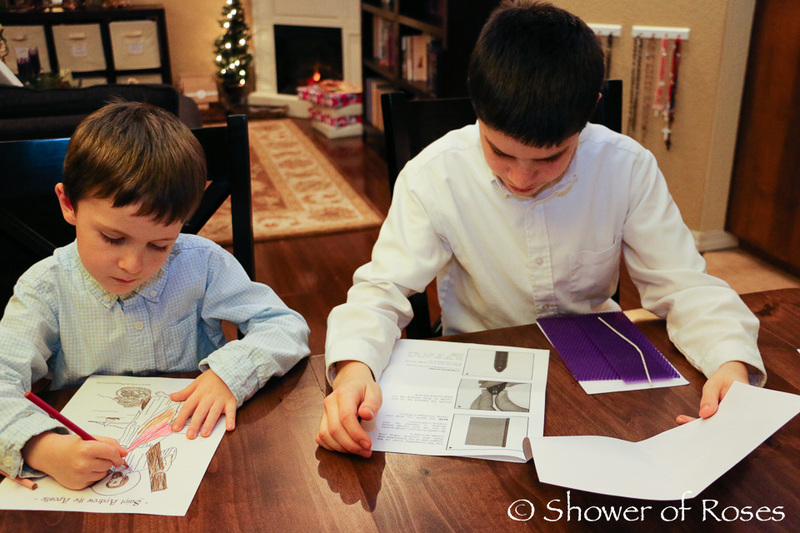 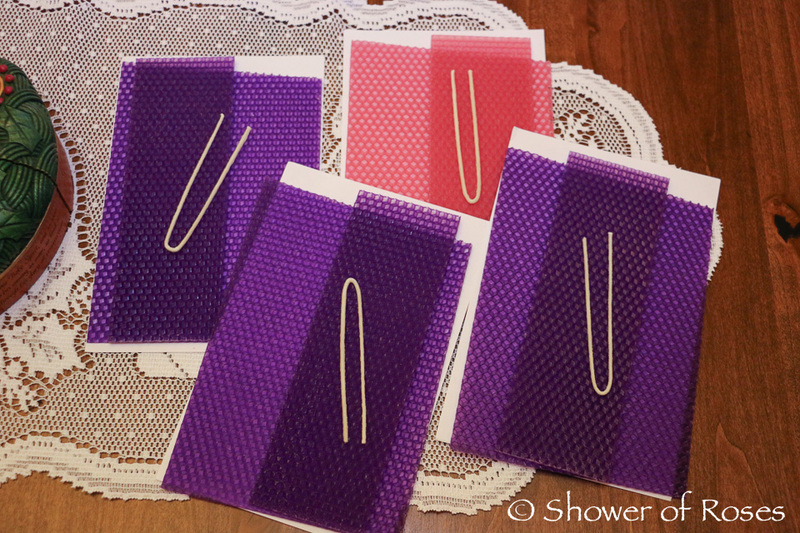 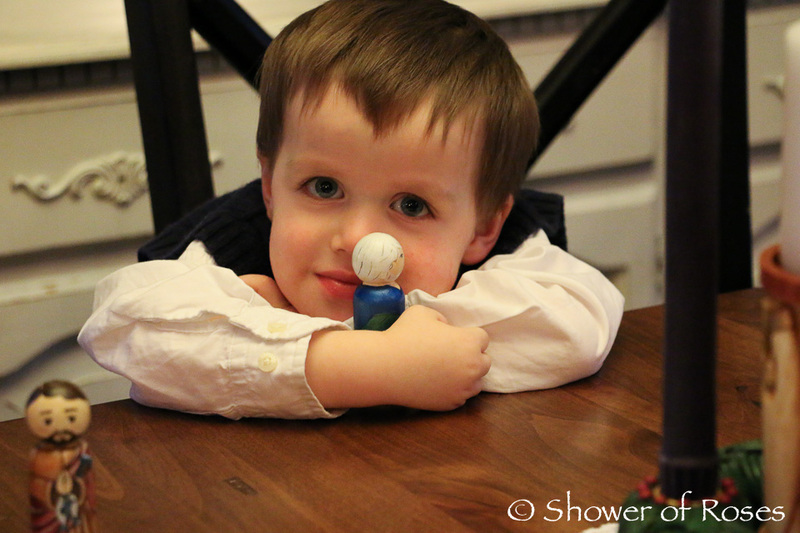 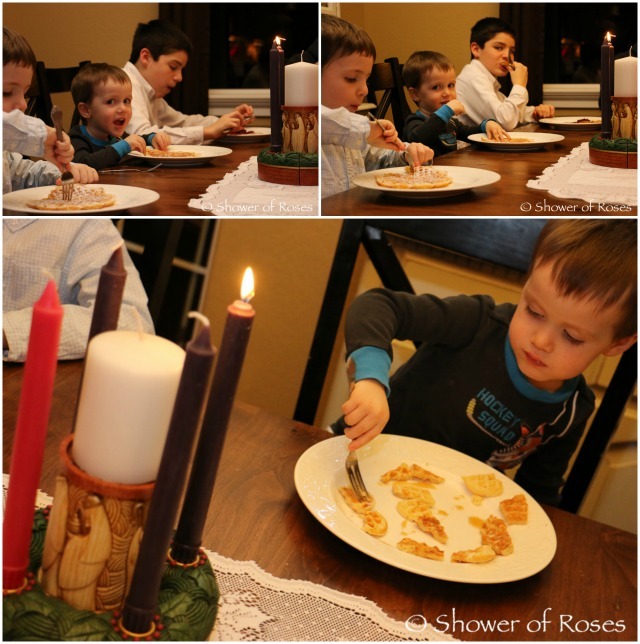 It is one of our Advent & Christmas Favorites from Holy Heroes! 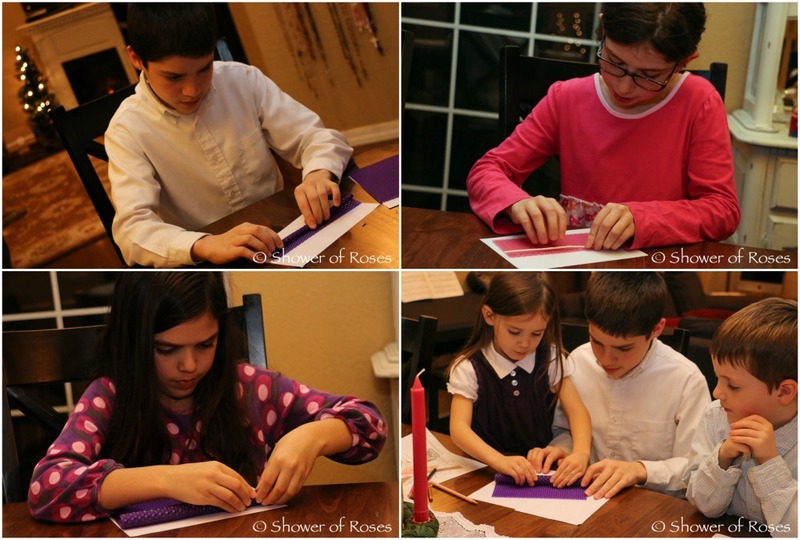 Like the candles we've rolled in the past, these were so simple to make, even the little ones were able to help with a little supervision. 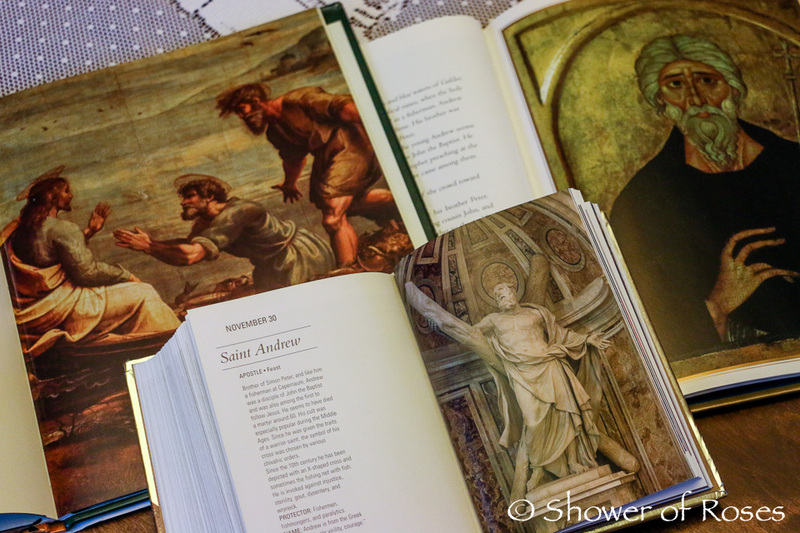 As he was walking by the Sea of Galilee, he saw two brothers, Simon who was called Peter, and his brother Andrew, casting a net into the sea; they were fishermen. 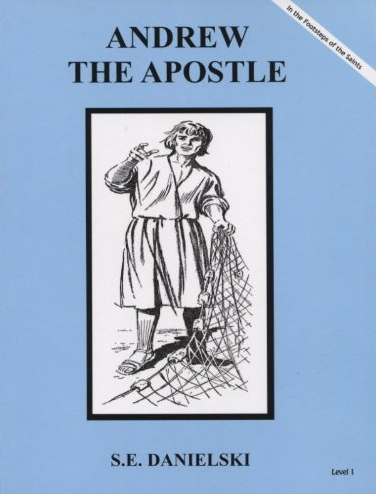 He said to them, “Come after me, and I will make you fishers of men.” At once they left their nets and followed him. 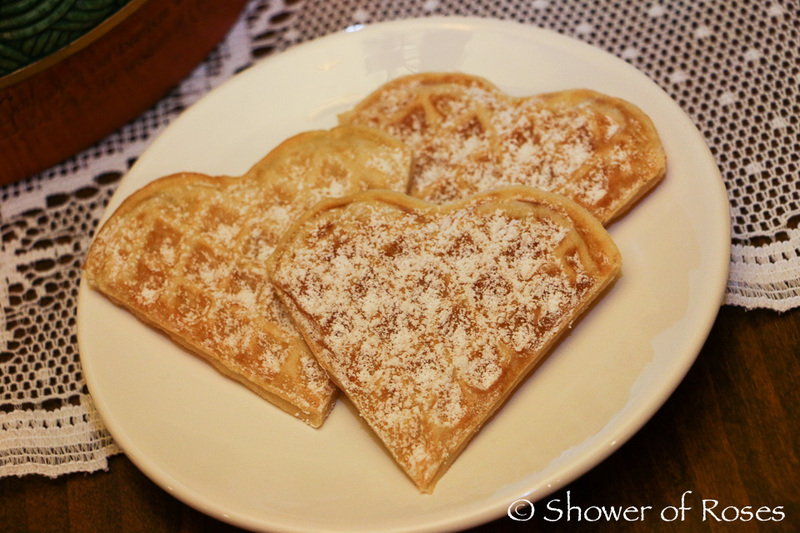 I adapted a recipe from Cooking with the Saints and baked them in this Traditional Heart Waffle Maker. 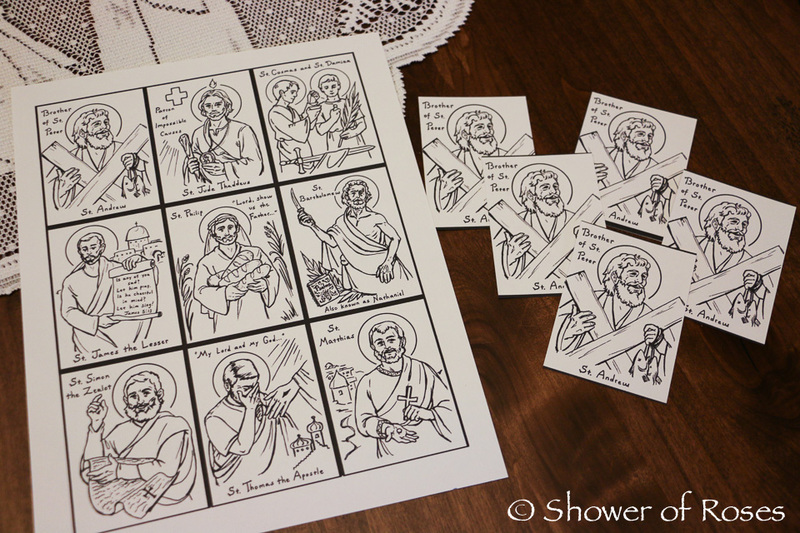 They turned out amazing! 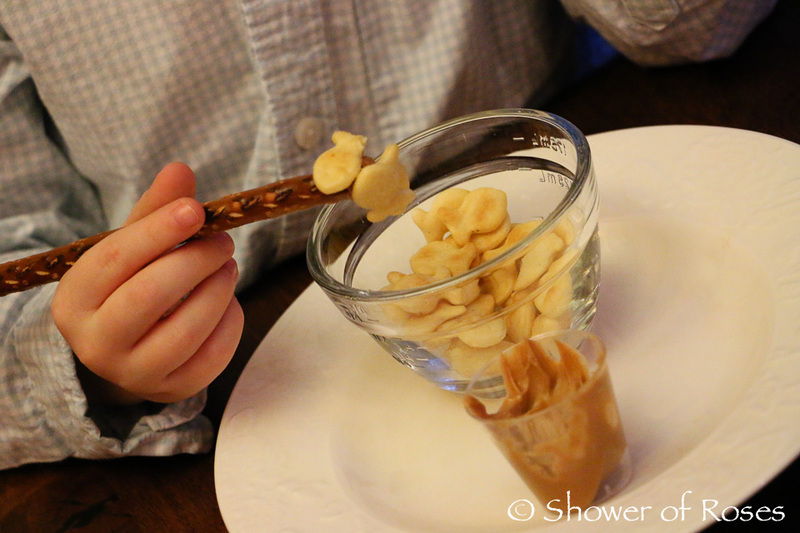 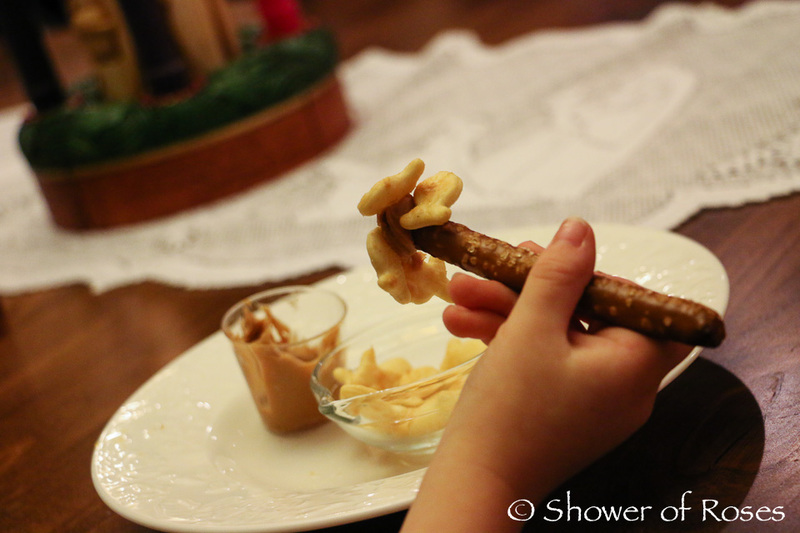 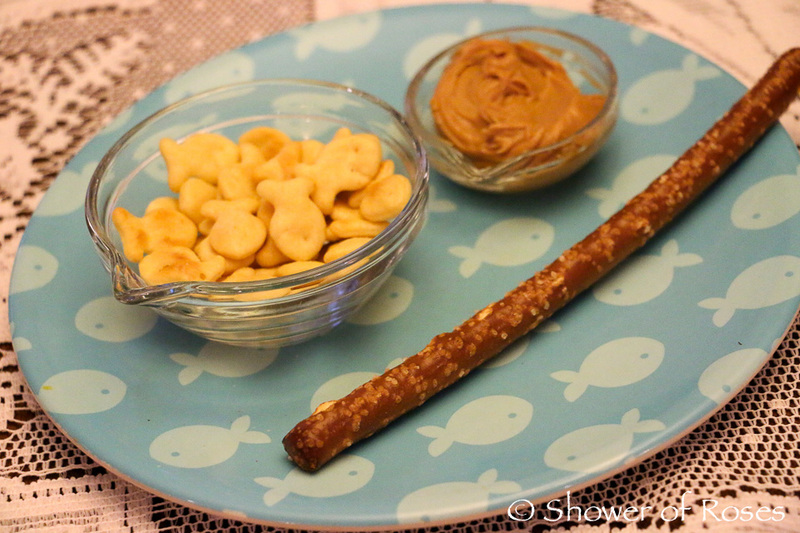 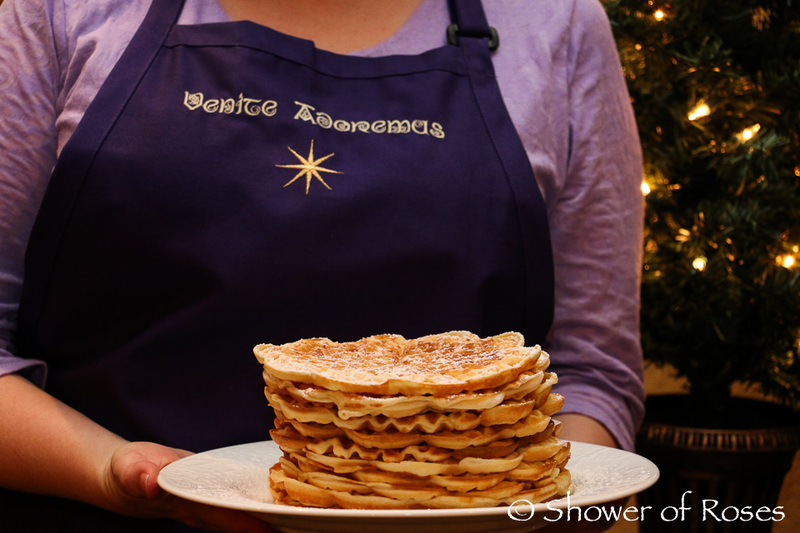 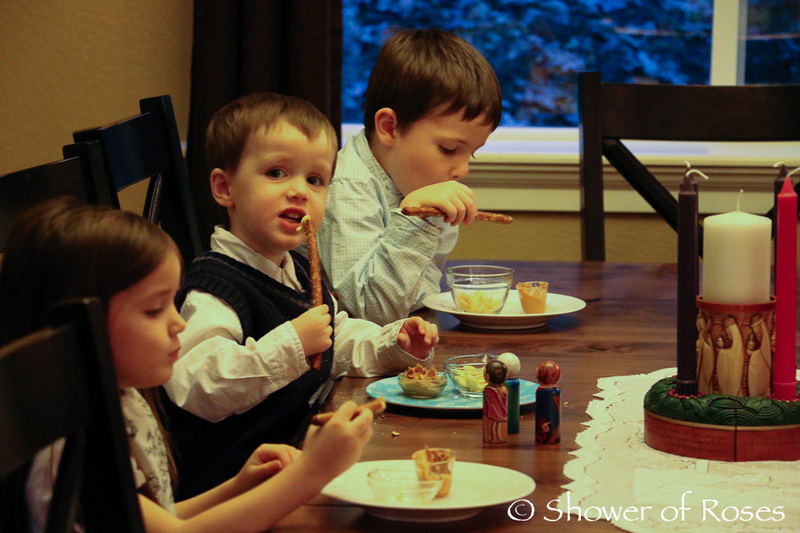 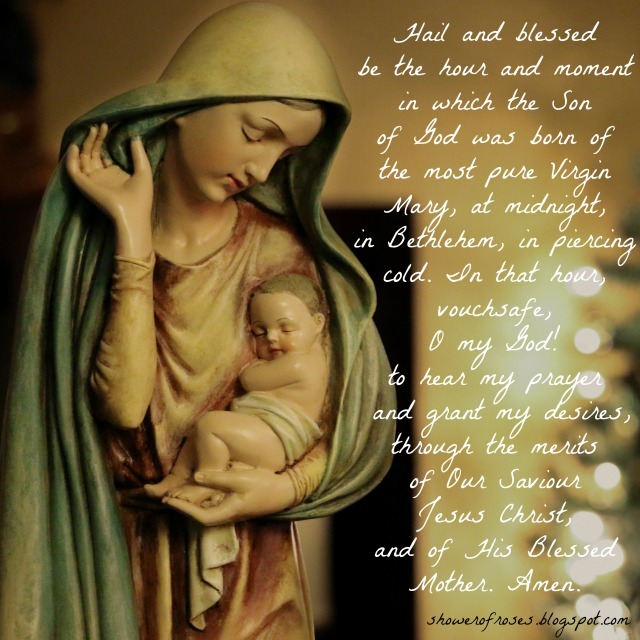 We won't be waiting a year to make them again… As soon as I have a chance to share the recipe at Catholic Cuisine, I'll update this post with the link.
.: PRAYER - ST. ANDREW CHRISTMAS NOVENA :. 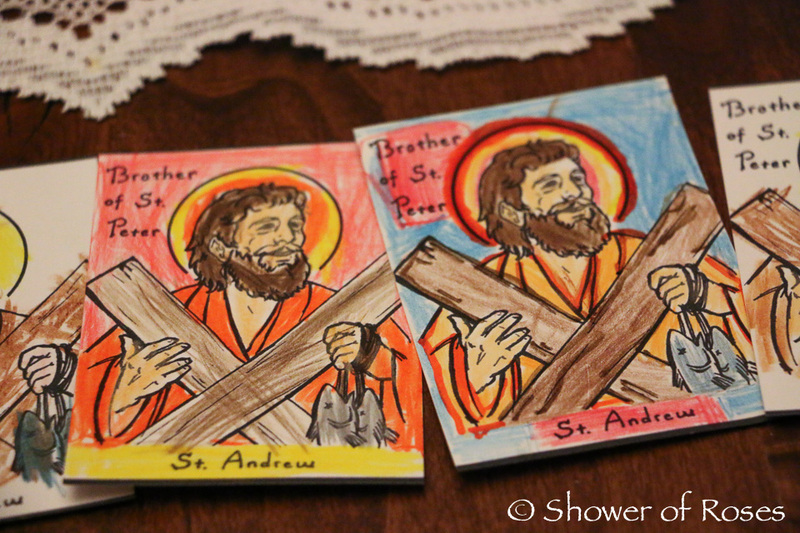 St. Andrew the Apostle, Ora Pro Nobis!